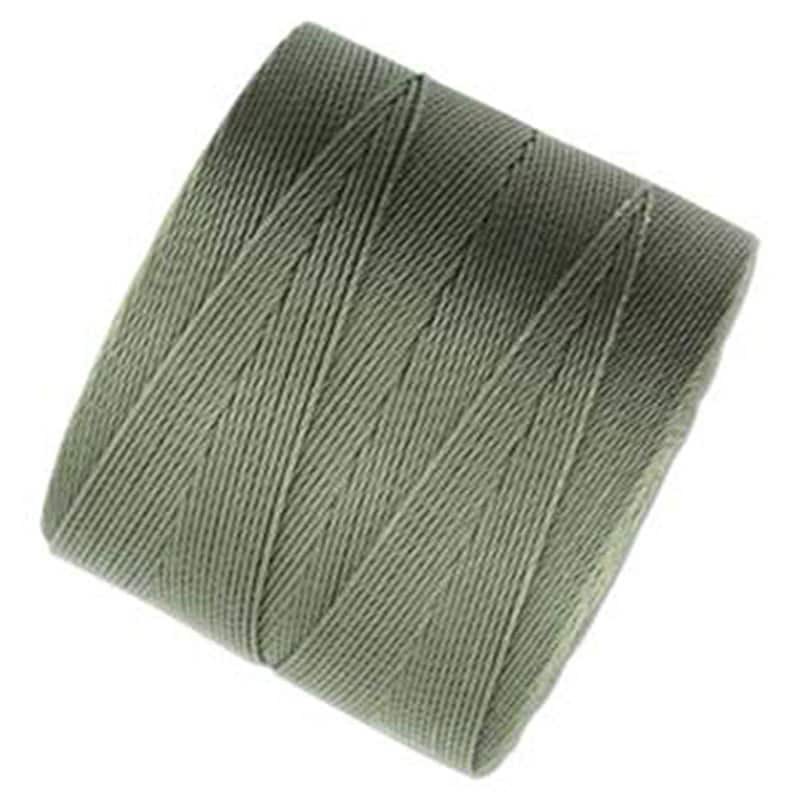 Olive Green S-Lon 70 micro cord. S-lon cord or Super-lon is a bonded braided nylon monofilament thread with a diameter of 0.12mm. Ideal for kumihimo, bead crochet, and bead looming. Easily fits through size 15/0 and 11/0. 287 yards (262 meters) per spool! Compare to Conso-69.